It is easy for prosecutors or even the media to portray how evil a person is by their actions. But how about looking at all the decades of good they have done for the City of Gardena and the City of Los Angeles? 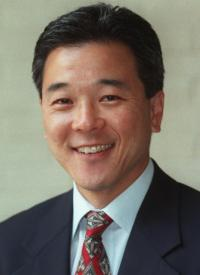 As I understand it, Paul Tanaka took our city out of near financial disaster. Mr. Tanaka ran our beloved city while running one of the largest jails in the nation. Let us look at our own lives and point our “bad” to others in the news first before reporting others. If Mr. Tanaka is such an evil person, why does he take the time out of his busy schedule to see people such as Noboru Kagawa? Noboru is not wealthy, does not hold a lot of power in the community. As a matter of fact, Mr. Kagawa made his mark in life as a soldier, husband, and father. Was he a lawyer? No. Was he in the medical field? No. Was he another politician? No. Noboru Kagawa was a simple man who is a father and a 70-year resident of Gardena. Oh, by the way, Mr. Kagawa made a living as a gardener. He had no employees and spent long days cutting lawns for a living, so why does Mr. Tanaka take his time to see Mr. Kagawa? Because Mr. Tanaka is a great human being who cares for and loves his community. He is one who does not look for votes, but one who will attend simple ceremonies that celebrate our past soldiers. All it took is for me to ask Mr. Tanaka to come to the small celebration. How many mayors will do that for simple community members? So, for a change, before any media, especially of the JA type, decide to bring the misfortunes on our politicians, air out your own skeletons first in an article. I am sure it will be just as interesting. Let us celebrate Mr. Tanaka for his dedication to the hard-working, honest American citizen. I still fully support Mr. Tanaka for his going out of his way for the simple residents, and for all he has done for the City of Gardena, and the City and County of Los Angeles.